The Evening Primrose is a plant of the willow family whose flowers open in the evening. Oil is made from the seeds of the plant and is available as the pure oil or in capsule form. The active ingredient in Evening Primrose Oil is an essential fatty acid called Gamma Linolenic Acid (GLA). Essential fatty acids are vital for the proper functioning of the body, but your body can’t make it, so it has to be extracted from the diet. It made its name as a treatment for premenstrual syndrome (PMS), sometimes called premenstrual tension (PMT). It eases symptoms such as cramps, depression, breast pain, bloating, headaches and irritability. It is also used for eczema and other skin conditions. Over a three-month trial period, the symptom showing most relief from taking evening primrose oil was itchiness. This helped in containing skin conditions, since scratching can spread infection. Evening Primrose Oil inhibits inflammation, activates the immune system and blocks the release of damaging enzymes, which cause pain and inflammation. Therefore, it eases the pain and inflammation of rheumatoid arthritis. 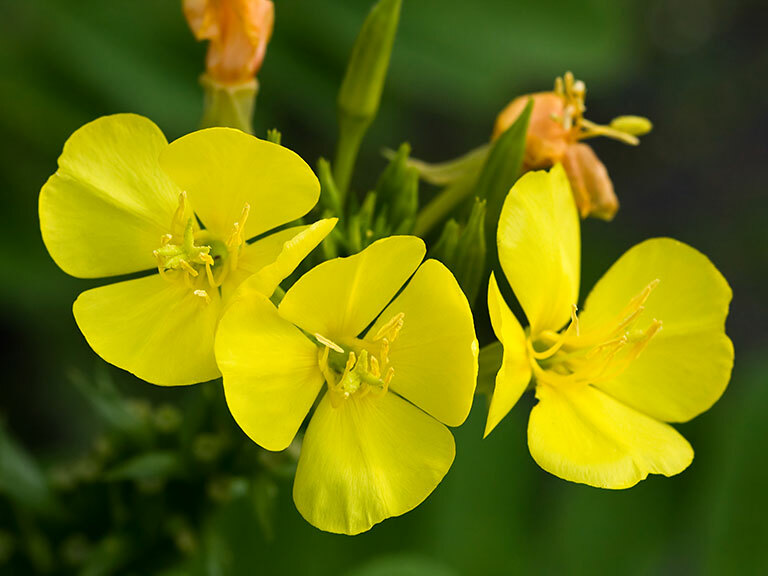 Evening primrose oil is used in a wide range of cosmetics to combat dry skin. For PMS, a dose of 3 grams a day of Evening Primrose oil is taken, while for eczema a higher dose of 4 to 8 grams a day is normal. Evening Primrose has been used for centuries with no ill effects. But, very large doses can cause headaches and gastrointestinal upsets. Do not take Evening Primrose if you are epileptic or schizophrenic as it reacts with the prescription medicines used to treat these conditions.